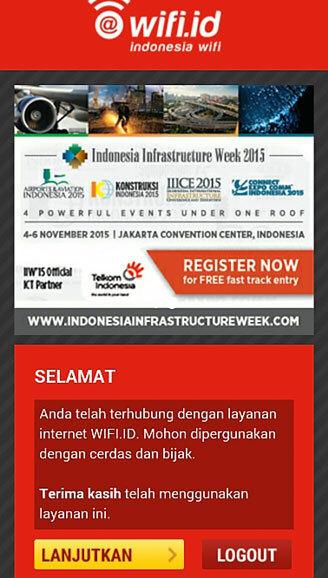 Wifi access everywhere via HTSnet hotspot or via @ Wifi-ID. 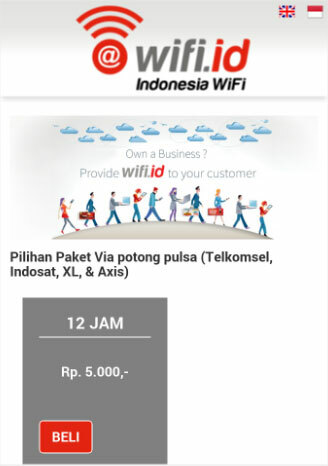 Special for HTS customers. 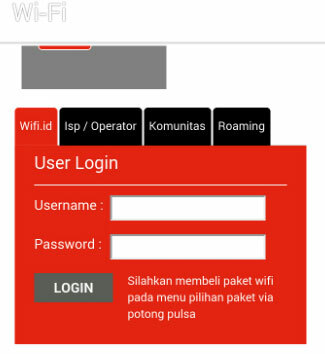 Once connected then the browser will automatically open the Telkom Wifi-ID page. 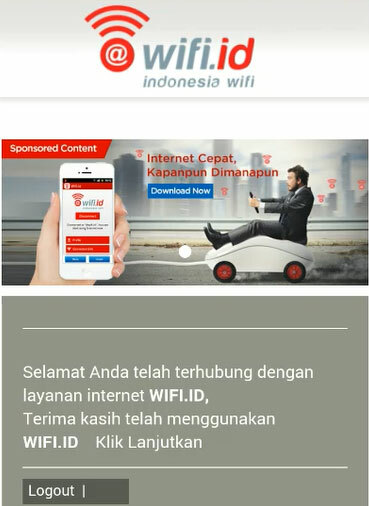 If the browser does not appear automatically, open the browser manually and then type any website (example: www.hts.net.id), then the browser will automatically open the Telkom Wifi-ID page. 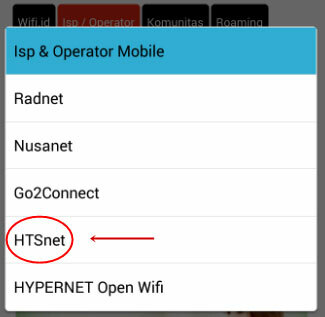 On the tab menu select "ISP / Operator", then select "HTSnet"
Fill in Username / No. Voucher and Password. For HTS customers, use Username and Password printed on the invoice. Can only be used when your status is ACTIVE and not over quota (5GB).